This Lean Six Sigma Green Belt course is designed for anyone who wants to learn about, and become confident in using Lean and Six Sigma tools to reduce waste and implement process improvements within any organisation. 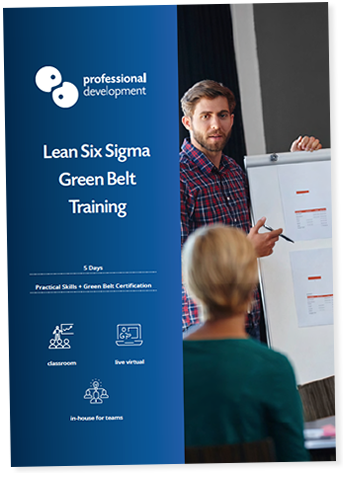 The primary focus of this Green Belt course is Lean, with an introduction to Six Sigma tools and the DMAIC Cycle. This course is suited to all experience levels. All you need is an interest in learning these methodologies. Our course will give you the knowledge and confidence to run Green Belt Projects within any role. The delivery style of this course is very interactive. We include plenty of active learning, such as group activities, discussion and applying skills to your own projects. Successfully completing this course and its assessment work leads to a Professional Development Lean Six Sigma Green Belt certificate. You will also gain a QQI Level 5 certificate in Lean Manufacturing Tools. Although the course name is "manufacturing tools", the course content is suited to every industry. We have participants from every sector attending this course, including hospitality, retail, pharmaceuticals, IT and telecoms to name a few. One of the objectives of this course is to give you the tools to implement improvements that are sustainable within your organisation. One of our recent classes of Lean Six Sigma Green Belts each delivered average savings of €100k+ per project. 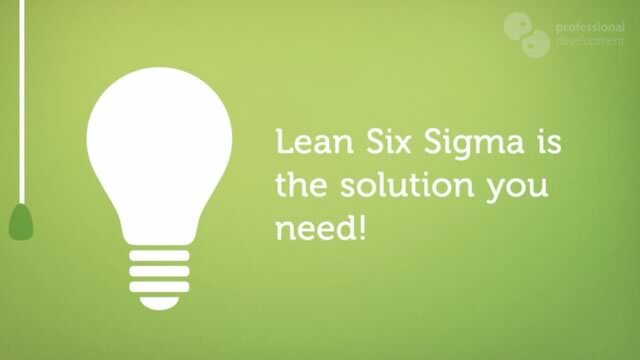 You can download Lean Six Sigma benefits and saving guide by clicking this link and find out how you can implement it into your project and start saving. What is covered on this Lean Six Sigma Green Belt Course? Who Attends this Lean Six Sigma Green Belt Course? There are participants from a wide variety of businesses and sectors attending each Lean Six Sigma Green Belt course we schedule. As the skills you gain during this course are transferrable throughout all sectors, this course is suited to participants within any industry. Anyone with experience in a service or manufacturing industry. Those working in a continuous improvement environment. Anyone wishing to learn how to improve business processes that are both cost-saving and sustainable. You can download the course brochure or ask a question by clicking the buttons below. To speak with one of our training consultants, please call us on Freephone 1800 910 810. Do I need experience to attend this course? This course is suited to participants at all experience levels, including absolute beginners and those who are thinking of making a career change to management. No previous experience is necessary. All you need to bring is an interest in learning these methodologies. You will receive 2 certifications upon completing this course and its assessments. The first is a Professional Development Lean Six Sigma Green Belt Certificate. The second is a QQI Level 5 certificate in Lean Manufacturing Tools. Manufacturing Tools is the official name of the course, but this course is by no means only suited to the manufacturing industry. The QQI code for this course is 5N5407 and it is a minor award worth 15 credits towards a major award on the National Framework of Qualifications (NFQ). How do I achieve my certification? To achieve this certification, you must attend our 5 day Lean Six Sigma Green Belt course and successfully complete the assessment work that follows the course. During the course, your trainer will give you full details for your assessment submission. Is Lean Six Sigma only used in manufacturing industries? No, although Lean originated in the manufacturing sector, the practical and versatile nature of these tools have led them to become widely used throughout many different sectors. Lean Six Sigma can be effective in organisations of any size and industry. Our Lean Six Sigma Green Belt course is an interactive, learner-focused workshop. Theoretical learning is combined with practical application including project work, group activities and discussions. Our trainers are experienced Lean Six Sigma professionals who have led business excellence projects and delivered breakthrough process improvements and cost savings across a range of business areas. You can ask us any question about this course by clicking on the button below, or phoning us on Freephone 1800 910 810.